It was test time last night on "Late Night with Seth Meyers" as Amy Poehler and Seth Meyers paired up like old times and challenged "Game of Thrones" author, George R.R. Martin, to see how well he knew his own books. The comedians rattled off popular lines from characters and he had to guess who said them. He did fairly well but was tricked a couple of times. Did you know Robb Stark had a scorned Aunt Patty? 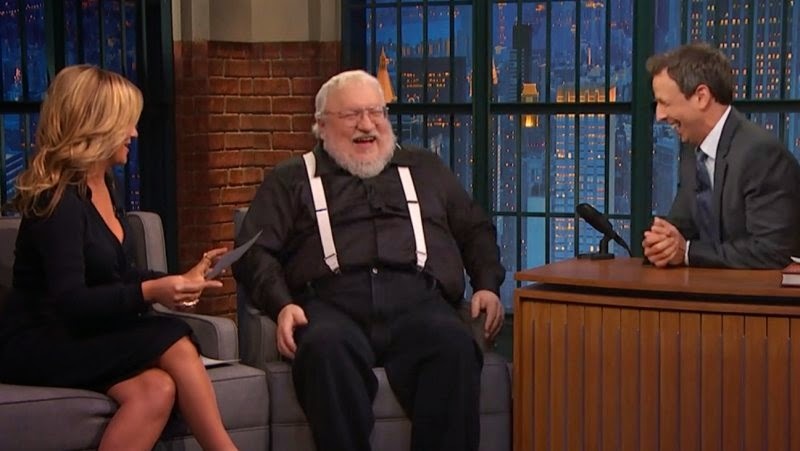 Just watching George crack up is worth the view. Check out the video below and see how well you would do if you were in the hot...throne.